This vital and special ministry welcomes newcomers and greets our members. They hand out bulletins, gather offerings, bring the oblations (bread, wine) to the Altar, and provide an attendance head count. If you are interested in serving, please contact us. This group prepares training for Greeters to welcome newcomers to our worship, and learns about and participates in evangelism activities. Our Vacation Bible School is held each year in July. All children are welcome to attend this special time of biblical learning. These teams travel to the homes of newcomers/visitors each Sunday after worship. 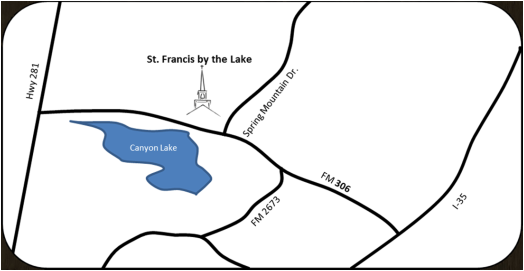 The visit is brief and provides a welcome to the visitor, as well as a bag with a wonderful cookie mix and helpful information about St. Francis by the Lake.